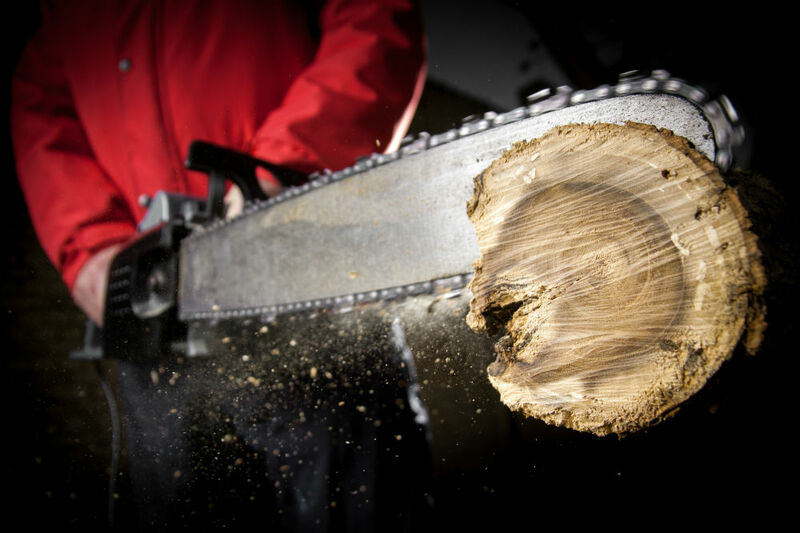 A good chainsaw should save you time and energy when it comes to the fight you have with nature. 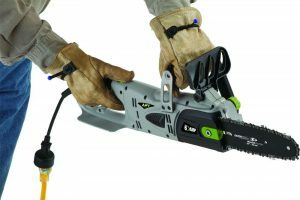 There are a lot of new types of saw available, including battery powered chainsaws like the Zombi ZCS5817. But is it worth your money to get yourself a Zombi for the monsters in your garden? We are here to give our sage advice (we think). In this review we will take a look at what makes this Zombi tick and what is good and bad about it. We will give you our honest verdict. Hopefully it will make it easy for you to decide if this is the chainsaw you need for your garden, business or to practice your zombie slaying. 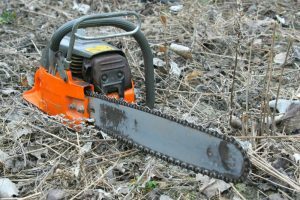 The Zombi ZCS5817 is a battery powered cordless chainsaw that offers quite a few nice features for a saw of this type. It has a 58 Volt 4 Ah battery with a charger included. The battery has a LED display to show you how much charge it has left. 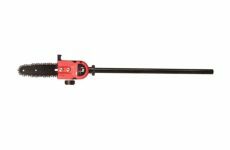 The motor is a newly designed brushless type and the 16 inch Oregon bar is designed for less kickback. It has a chain brake for extra safety and a comfortable hand guard. This Zombi looks after itself with automatic oiling and a good sized reservoir with a level indicator. It looks good in a black and blue design and has a 5 year tool warranty. The battery comes with its own 2 year warranty. Now, let’s see if this saw lives up to its potential and does the features it comes with justice. The Zombi ZCS5817 is a saw for light to medium duties in your backyard. It has a safe start system so you can prevent accidents, because the lockout button will shut the chain off if you don’t keep your hand on it. 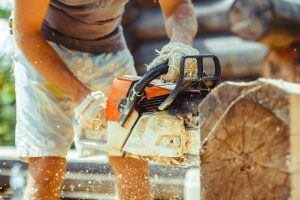 It is a weighty model for a cordless chainsaw but it is still really maneuverable. We like its unique design and comfortable ergonomics. It comes with nice comfortable textured handles that add to its ease of handling. But if you don’t like heavy lifting this Zombi can become too much stress for your biceps to appreciate. You might need a break before the battery does. There is a lighter model available but you need to keep that one plugged in to an outlet, so you might need to weigh up (ouch a pun!) your needs here. Another positive is the narrow nose on the bar that will keep kickback to a minimum. The battery is well placed for good balance and very simple to install or remove. The tensioner on the chain is simple effective part of the saw and a breeze to use. Of course, we won’t just ramble on about the good things. The negative points also deserve a mention. 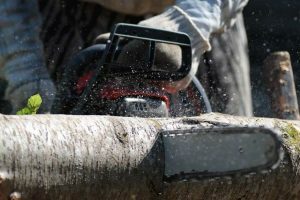 This is much heavier saw than other cordless, battery powered, or other corded electric types of chainsaw. The blade cover is not very sturdy and does not protect the blade very well. 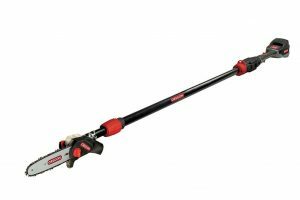 If you need something you can use all day on heavy work, this saw will not have the stamina. The battery lasts well, but not more than a few hours. It also takes two hours or more to charge between breaks. Also keep in mind that this saw will really lighten your wallet. It is more expensive than many of its competitors so it will not be the first choice if you are on a tight budget. 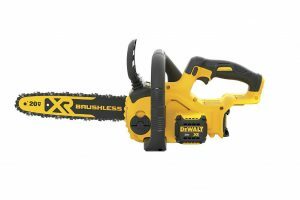 This is a chainsaw that performs very well on light to medium duties and has a nice long battery life that fit these jobs well. 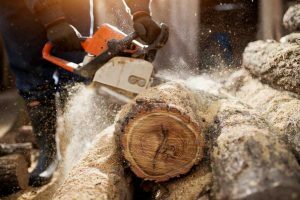 It is a more expensive model than other competitors in the cordless saw class, but its performance should really make the extra cash you dish out worth it. It is easy to use, comes with a good quality and well sized Oregon bar, and has a load of power for a battery saw. 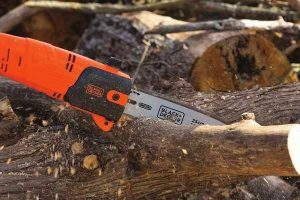 We recommend this Zombi ZCS5817 if you have smaller trees and brush to clear away and don’t intend to spend all 24 hours outdoors cutting firewood. 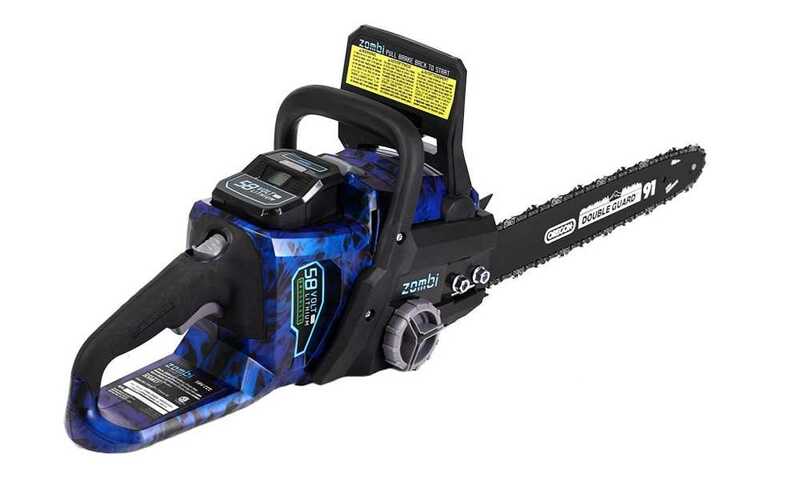 If you buy extra battery packs you can make this saw last longer, especially if you are investing in a garden tool to do double duty when the Zombies attack.